We're looking for people ready to commit, disrupt, and build in a big way. We’re a start-up setting out on a mission to revolutionize recruiting through the power of artificial intelligence. We believe in the power of jobs. Jobs have the power to change lives and to change companies. We take the minutiae out of the recruiting process to create better candidate and recruiter experiences. Our early results have been tremendous, exciting, and game changing. The response to what we’re doing is overwhelming. We are at the precipice, knowing we have an amazing product at the right time, in a huge industry. We know we’re onto something big, and we’re building a team of stars to create the next big thing in recruiting. We are insatiable about not settling for the “good enough” of today. We revel in ambiguity and embrace change with open arms, understanding that our strength is in our optimism. We believe the best way to predict the future is to create it. We know great culture is amazing people doing great work. We think and dream bigger than ourselves. Together, we roll up our sleeves because our mission serves a greater purpose for our company, our communities, and organizations around the world. We do it for the love of talent, not for the bottom-line. We are an extension of our client’s team; their success is our success, their wins are our wins, their talent is our passion. We don’t ask what we can sell you, we ask how we can help you. We go the extra mile to create exceptional talent experiences. Our obsession is for our clients and their talent to feel magic through assistive intelligence. We believe the highest form of art is in simplicity. We have a growth mindset. Our belief in progress before perfection drives our bias-for-action. We take responsibility for our successes and failures. Our curiosity, nimbleness, and perseverance drive us to become better professionals and better people. We find joy in our work because we love what we do. We are humbled by the opportunity to serve. We hold ourselves and each other accountable. Character matters. We care deeply, lead with trust, listen to understand, act thoughtfully, and believe in the golden rule. Recruiting Those Who Want to Change the World. Can we change the world one company and one job seeker at a time? We think so. We’re ready to transform and disrupt the recruiting world. We can make it better and easier for companies and job seekers to connect. We’re swinging for the fences, and we’re hiring people who want that type of challenge and opportunity. We need different types of talent, but first and foremost - we need performers who want to sacrifice and build a company together. We’re looking for those with a track record of success with their best days still ahead of them. Are you in for the ride of your life? If you want a job description with more specifics than what we’re sharing - you’re not right for a start-up. You don’t get everything explained and handed to you - the operating manual comes later. If you thrive on figuring it out, building, and winning - we might be the right place for you and your career. If you’re afraid of failure or success, don't raise your hand. Our journey is not for the faint of heart. This role is for people who are passionate about their work, results, professionalism, shared commitment, and building something of enduring value. We ask for big things - and we can offer big things to those who want more than a job. Show us you have what it takes to thrive and succeed in a start-up. Raise your hand with confidence and commitment. Quickly chat with Olivia below to be considered for job opportunities (and to see some of the tech we’re working on). We are hiring top performers, doers, and leaders in the following areas. Don’t let job titles get in your way. Our headquarters are in Scottsdale, Arizona - and we’re adding to the team locally and with remote roles when it’s a fit. Are you a builder? Do you love building amazing, innovative tech solutions? We’re excited to speak with high level performers in all areas of engineering and software, including: software engineer, front-end, back-end, ops, senior, junior, lead, manager, director, or C-level. Your passion, skills, and ability to innovate world class software is what we’re looking for. You love being on the cutting edge of data and artificial intelligence. More than just theory and talking about it, you love building and designing elegant solutions to real world problems. 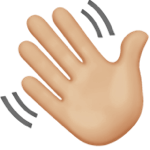 If you’ve studied and have real world AI, NLP, machine learning, chatbots, deep learning, virtual agents, big data, or other technical expertise you think might be valuable to us - raise your hand! Driven to build modern software products? We’re growing all parts of our product team, including product management, product designers, designers. Mobile, modern, B2B and consumer web and mobile app experience is highly rewarded. Are you obsessed with innovation and disruptive tech? You’ll join a team that loves fast iteration, prototyping, and has an obsession for beautiful user experience. You love customers (we call them clients). You care deeply about helping clients solve problems. In sales, you’re taking our message to companies across the country and your number one passion should be in growing through new client acquisition. We’re looking for sales leaders, individual performers, channel sales, and more. Companies are built through customers - are you the type that loves building sales through relationships? In service and client success, you’ll need an insatiable desire to deliver amazing service and to give our clients the training and tools to be successful. We are implementing new processes with our disruptive technology. Types of roles include client success & service leaders, software implementation, and customer service. Bring your passion to serve and empower. Are you a modern marketing professional who geeks out about effective B2B marketing? Digital, content, event, social. There are greenfield opportunities galore for us. We’re looking for marketing talent that can balance traditional marketing strategy with modern web and software tactics. We measure marketing success not by followers, but by real results. We want to deliver compelling messages to the right audience and grow our organization and the AI category for recruitment. Is your passion for recruiting & talent acquisition? Do you want to help build the company that’s changing the face of your profession? We are growing and need amazing people and we need helping to build our team. Long-term we’ll need to expand all of our people functions - recruiting, training, etc. So if you can roll up your sleeves and truly make an impact in an organization- let’s start recruiting together. We need the scorekeepers and business analysts to help us grow. We’re looking for professionals with an acumen for identifying opportunities and insights to help us grow and scale in big ways. Show us how you connect your expertise to real world customer & business results and you’ll get our attention. Do you bring something else amazing to the table that our start-up needs either now or in the future? Raise your hand and make sure we know about you - share your story, show us how you’ll add value! Quickly chat with Olivia to be considered, we make it that quick and that easy because we respect you and your time.